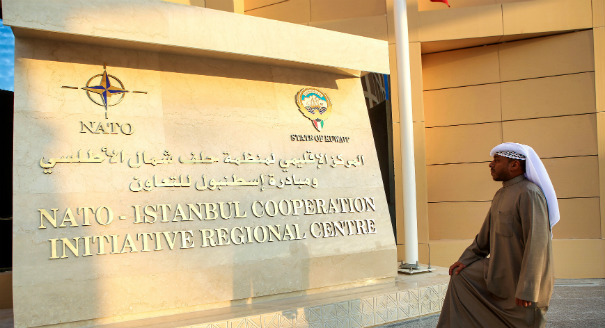 Qatar’s pledge of aid to Turkey has deepened the two countries’ alliance, even as Turkish officials worry Doha will not deliver. While countries in the Maghreb and the Gulf are increasing their security cooperation, they lack a long-term strategic understanding. Renewed high-level diplomatic activity between Qatar and Saudi Arabia may end their historic row as the GCC seeks policy alignment, particularly on security issues. Doha's foreign policy setbacks over the past year may press Qatar toward reconciliation with Saudi Arabia, despite their recent spat. The falling out between Riyadh and Doha leaves Yemen divided over which patron to follow. Qatar’s strategic internationalist foreign policy is likely to continue, even under new leadership. The responses of Gulf Cooperation Council countries to the 2011 uprisings only reinforce a culture of state dependency. Security Sectors in the Gulf: Immune to the Arab Awakening? In the wake of the region’s political tremors, Gulf monarchies are claiming reform of their security sectors. But are the changes enough—and are they genuine? After years of Qatari efforts to differentiate the country from its neighbors and encourage media freedoms, the Qatari government is set to unveil a new media law at the end of 2010 that has raised fears of possibly restricting certain freedoms. Qatar is frequently described as being at the vanguard of democratization in the Arab world. A look at the tiny Gulf emirate's new reformist constitution, approved in an April 2003 popular referendum, shows that the document has significant limitations, even as compared to other Arab constitutions. A survey of women's political status in the Gulf Cooperation Council (GCC) states shows that in some countries women have recently made considerable progress toward formal equality of political rights, but in others they have not. The governing elite in the GCC countries generally supports women's political rights, but strong social sentiment against women's participation in politics persists.